OUTWESTMotorcycle Works, located in Montrose, CO, provides professional maintenance, service & repair for Western Slope's BMW riders. Let a skilled and knowledgeable BMW certified technician handle your next service. 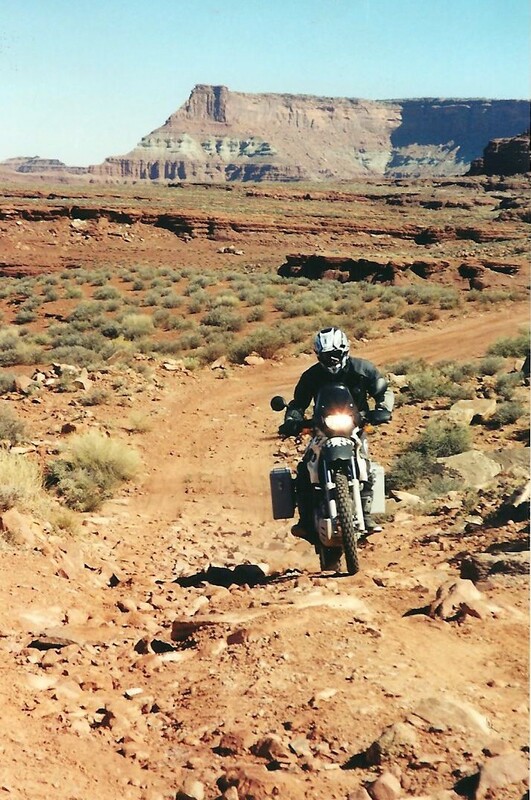 Our experience in both on and off-road riding and knowing the rugged trails & highways of the Colorado Rocky Mountains & Utah's scenic desert terrain contributes to the professional service you will receive at OUTWEST Motorcycle Works. Call OUTWEST to handle your routine service, maintenance and emergency bike repair to get you back on the road FAST and at reasonable rates!! Call us about our tire specials that include mounting & balancing. OUTWESTMotorcycle Works performs maintenance & service work on both new and older BMWs: G, F, R, S and K models (including LT's). OUTWESTMotorcycle Works will help you get the most out your BMW Motorcycle using BMW approved products. We are an OHLINS Dealer specializing in performance suspension products. OHLINS Authorized Dealer for all your suspension needs.